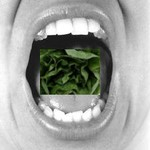 Below is a podcast I conducted with Soylent Green about his reaction to Mike Judge’s Extract. You can read my review of the film here. Click the play icon to listen to the podcast. This entry was posted on Sunday, September 6th, 2009 at 5:20 pm	and is filed under Comedy. You can follow any responses to this entry through the RSS 2.0 feed. You can leave a response, or trackback from your own site.